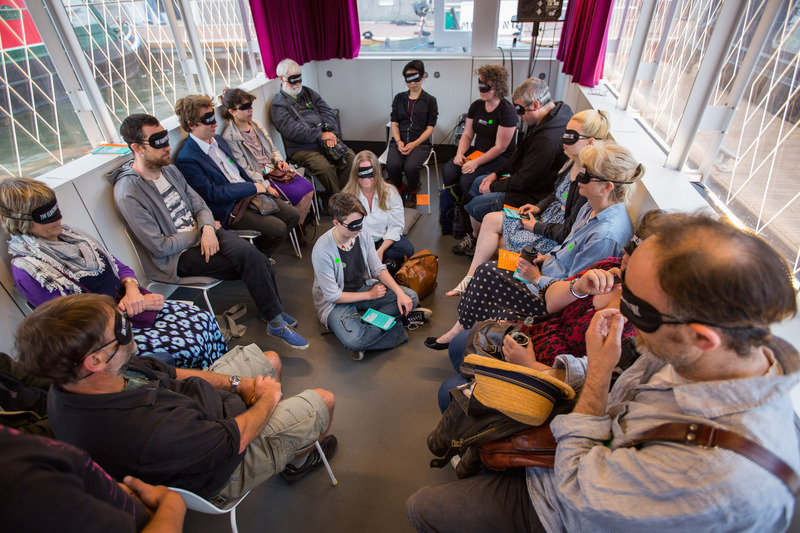 A surround-sound piece for blindfolded audience on canal boat. 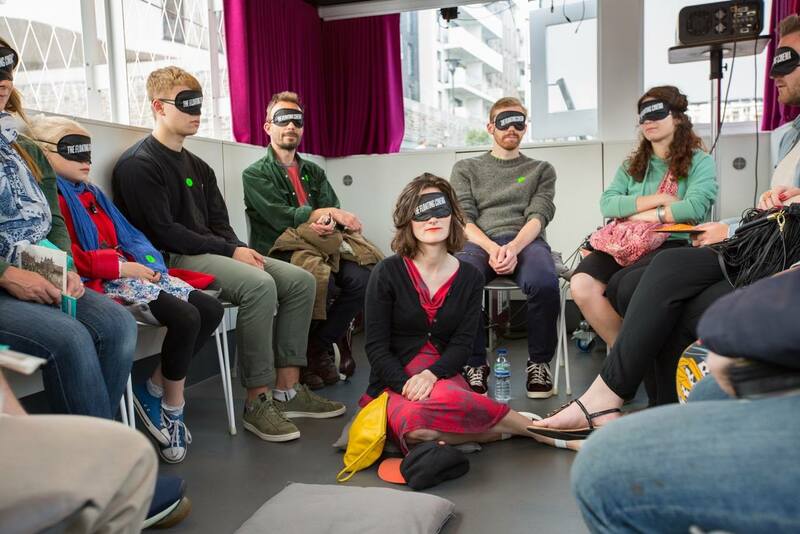 From June to early August 2015 I was the artist in residence on The Floating Cinema, a canal boat fitted with an auditorium for playing movies, on their tour from London to Bristol. It’s a long way to go by canal! In the middle of residency I spent a week in Bristol taking all the recordings and making a new piece out of them. 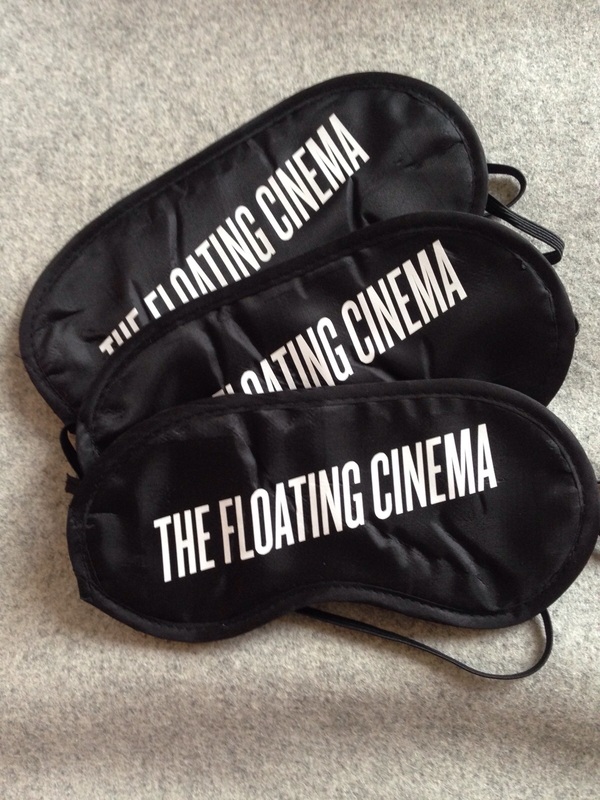 I decided to take advantage of the 5.1 surround sound system in the boat to make a multi-channel piece, and to encourage people to listen we printed up a bunch of eyemasks. 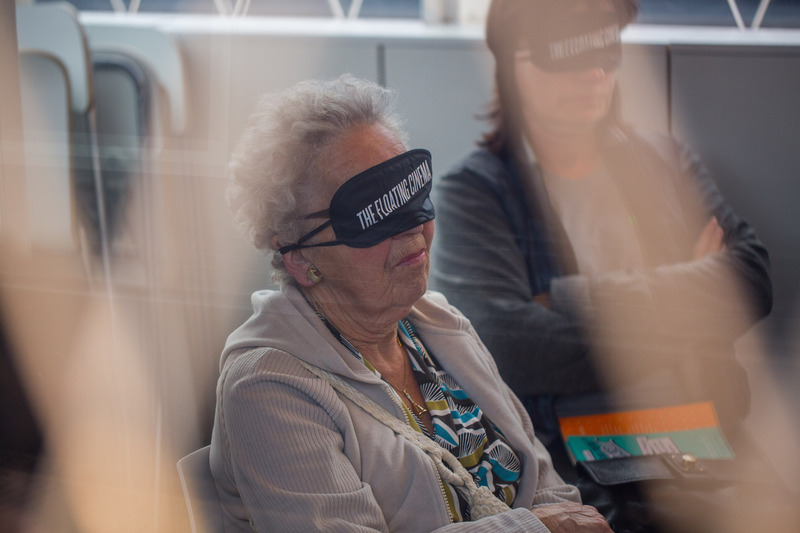 The piece is a 27 minute long meditation on the canals, taking in the people and places that you find along the waterways. It includes a few snippets from a record I found in a charity shop in Reading, but otherwise is made entirely from recordings I made on the tour. Here’s a short stereo-mix preview…this of course won’t give you the full effect of sitting on a boat and being surrounded by the sounds, but it gives you an idea! Get in touch with me if you’d like to hear the full stereo version, or if you have a surround-sound system you’d like to test out. I try not analyse and create at the same time (as suggested by Sister Corita Kent), but in making this piece I was definitely exploring a few main themes. The main one is the idea of canals as a part of the industrial landscape, which are now paradoxically seen as part of the pastoral imagery of the countryside. These waterways were built entirely to facilitate trade and heavy industry, but are now sleepy countryside retreats. Many many thanks to the wonderful people at UP Projects for making this happen, I had a fantastic time.